So, let's be off shall we. Picture this, it's the second day of our holiday and the sun is shining bright. We plan on having a day at the beach, playing with the kids and having a lovely walk by the waterside. I opted for a nice light dress to keep me cool whilst looking nice. 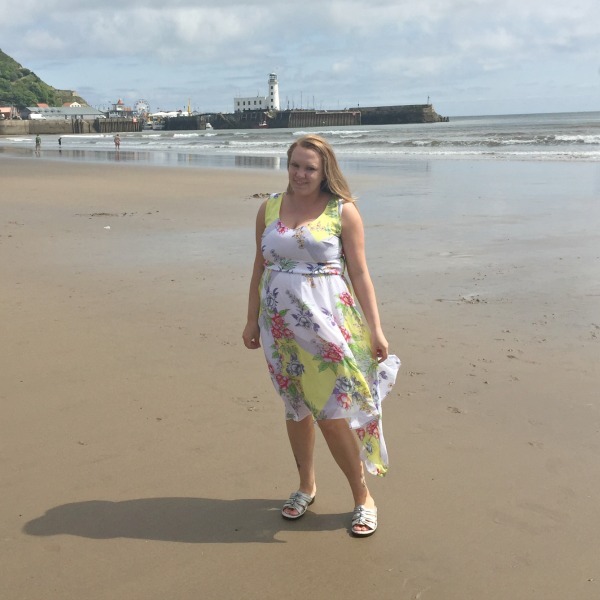 This White Multi Print Dipped Hem Maxi Dress worked perfectly for a day at the coast. 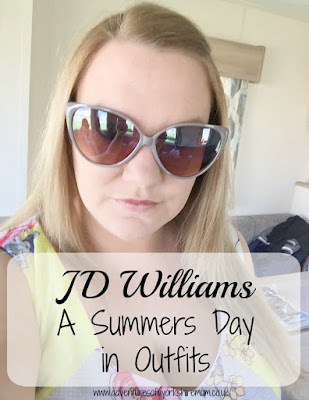 Teamed with a pair of Cushion Walk Mule Sandals in pewter, I knew that these would go well and, since I'm not a fan of heels, would go from day to night and match with any dresses that I chose to wear. Back to the dress then. The dipped-hem dress beings some contemporary notes to my wardrobe and the statement floral fabric is great for summer wearing. It has an elasticated waistline so hugs to the best part and fits well whilst flaring out over the hips to give a smooth finish. The v-neckline makes this must-have dress as it is so flattering and it has a cute keyhole back just to add an extra dimension to the design. I think it is a perfectly thought out dress as the asymmetric hem shows off the legs without being too short and yet, if you're not a leg person, you can easily team with a pair of leggings for a laid back look. The shoes were a godsend for walking in. 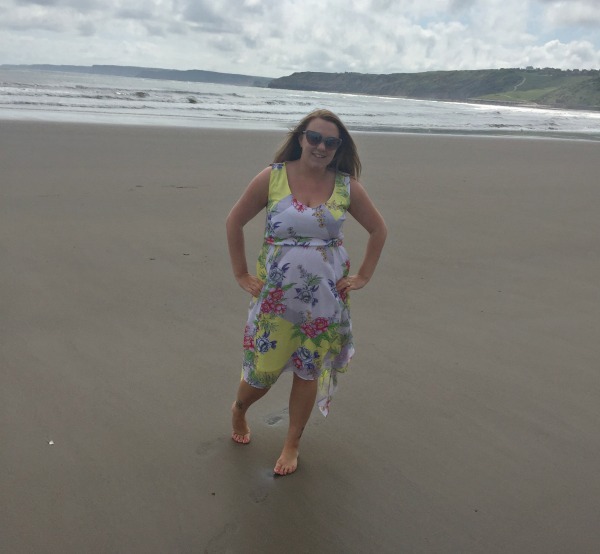 I didn't think we'd end up walking loads and assumed we would end up chilling on the beach, but these definitely live up to their name and feel like you have cushions attached to your feet. They have a low wedge sole so are comfy to wear and the soft leather just caresses the skin. The fact that they come in different width fitting makes them ideal for anyone who needs a little extra space. And I love the delicate trim detail as it makes them perfect for whatever occasion you need them for. As to which, like I said above, I could wear them from day to night and opted to team them with the most beautiful Nightingales Jersey Maxi Dress for our night time jaunt. In a beautiful tropical print, this jersey dress is so, so easy to wear. The fabric is super soft, and is a beautiful evening look. 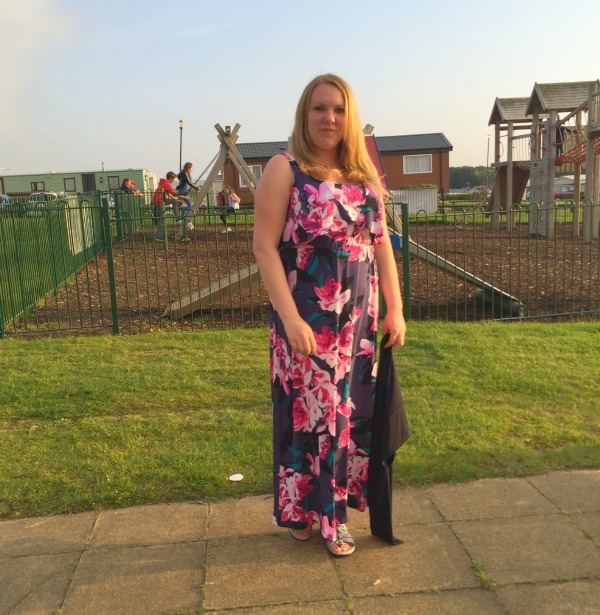 I adore maxi dresses as they cover up my most hated parts of my body, but look so lovely to wear. The elegant draped fabric over the bust is so flattering and fully elasticated waist clings to the parts you want to show off. I think it looks so elegant and wears so well. And as we're in the UK and even in the summer, evenings still leave a little chill, I chose to wear a beautiful little black shrug, just to keep the arms covered. I mean, I'm no stylist, but I do know what I like. And for me, these are the perfect outfits for a summers day! I really really love that top dress. It is so pretty what a gorgeous print. I really love your dresses the shoes aren't my style but they go with the dresses well. So many stunning dresses. http://www.glamchase.co.ukwhich dress should you choose for party?